Don’t sacrifice style on the dance–floor, wear Taygras. Dancing is after all about expressing yourself, so Taygras give you style and colour alongside total comfort and flexibility. 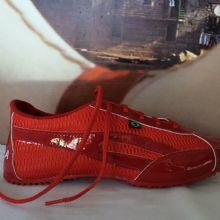 Used in Brazil for dance and movement from Capoeira through to Samba, the lightness and flexibility of these sneakers makes them perfectly suited to all kinds of dancing. 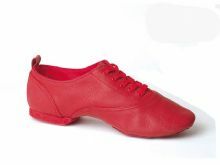 Comfy enough for classes and funky enough for wearing out on the dancefloor, Taygras have become the footwear of choice for thousands of dancers both in the UK and now worldwide, with internationally recognised teachers and performers wearing and recommending these. What makes Taygras such a great choice for dancing? From the sole to the upper all elements are chosen for their lightweight quality allowing you to flex, bend and turn your feet without restriction. Taygras have a slimline sole made from injection-moulded, recycled PVC. Unlike riubber the hard non–porous soles generate little friction. The base is moulded into a narrow grip providing the balance of enough slip to spin with ease yet enough grip to stay in full control.